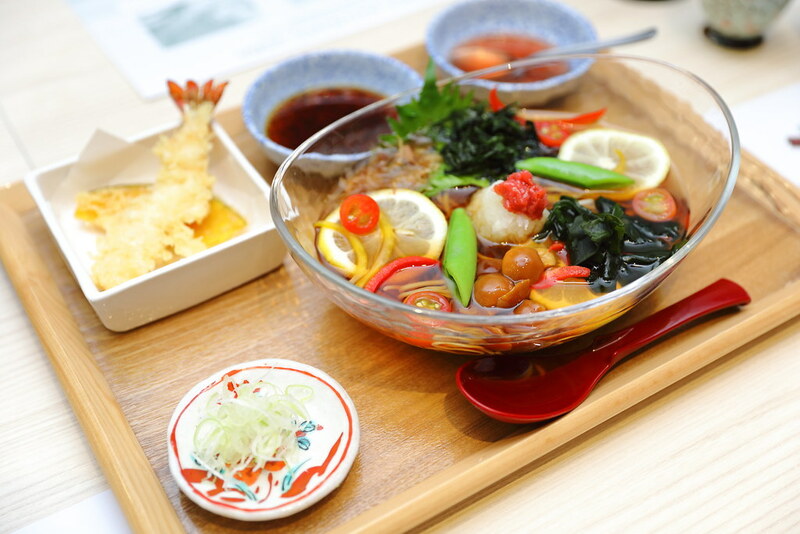 Shokutsu Ten Japanese Food Street has moved into the city with the opening of its third outlet at Great World City. The Japanese food enclaves at its third venue presents 5 food, beverage and retail brands under one roof. Joining Ichiban Boshi and Kuriya Japanese Market in the expanded area at the basement of Great World City is Shimbashi Soba, offering freshly made buckwheat noodles daily using pesticide-free buckwheat cultivated under the most ideal weather conditions in Tasmania. 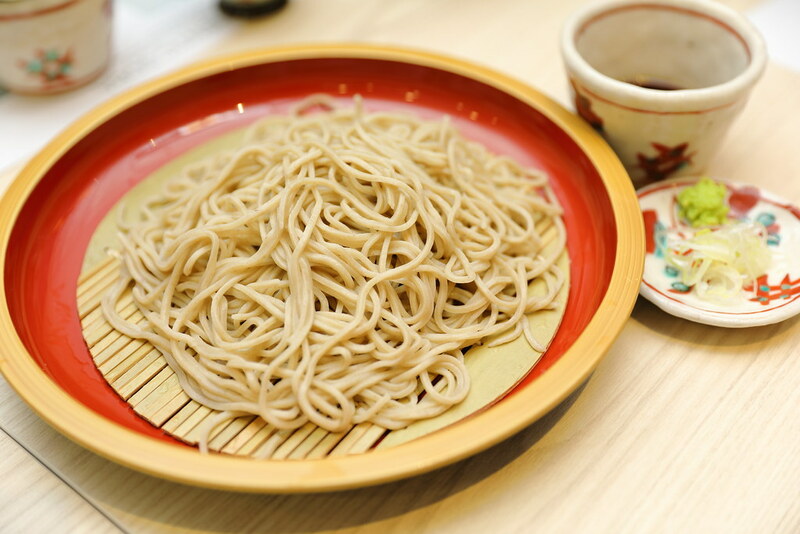 I personally find that the best way to appreciate the soba (buckwheat noodles) is to have it plain. The Seiro ($11.80) with the soba served chilled comes with delectable chewy bite. The more I chew on it, the fragrant of the buckwheat since to be more prominent. You can also dip the soba into the dipping sauce for a deeper profile. I find the Chilled Ume Soba & Prawn Tempura ($18.80) rather unique. This is the first time I tried the dish. The chilled soup noodle comes with vegetables, seaweed, pickled plum, grated radish, bonito flakes and lemon served with prawn & pumpkin tempura. The soup was light and refreshing but I thought there was a bit too much flavours at play. 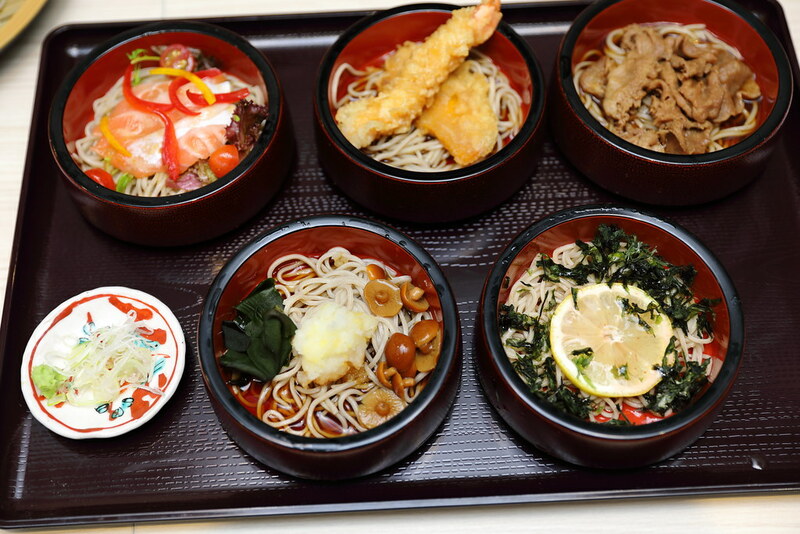 If you like variety then the Warigo Soba ($21.80) will suit you. It comes with 5 small bowls of chilled noodles with 5 different toppings. Items are subject to change according to seasonality and availability. 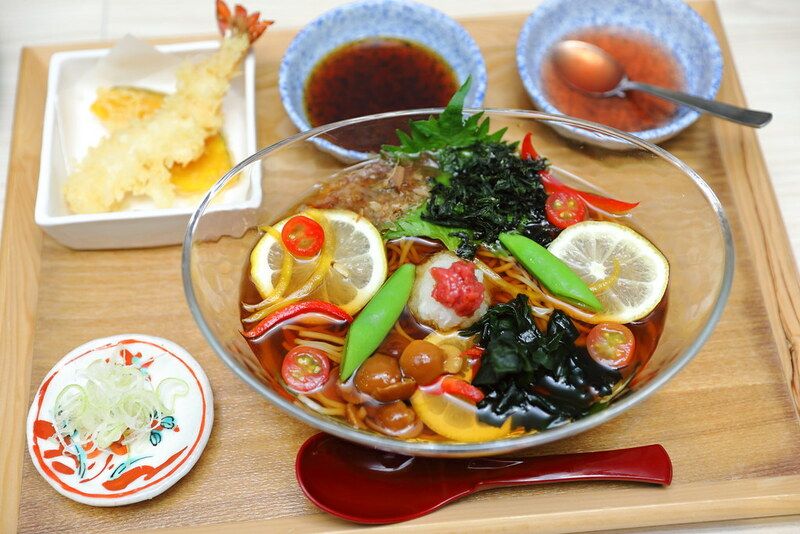 Among the 5 bowls, my personal favourite is the soba with lemon and seaweed. The sour from the lemon unexpectedly liven the whole enjoyment of the buckwheat noodle. 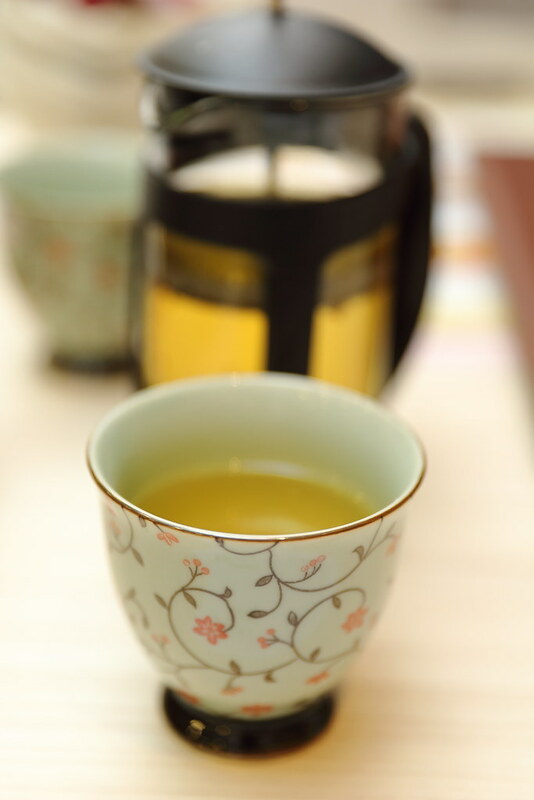 Last but not least, washed down all the delicious bowl of noodles with a cup of Buckwheat Tea. This is the same buckwheat that is used to make the noodles.